The funding includes $136 million by San Diego Gas & Electric Co. to provide rebates for as many as 60,000 customers to install home charging stations. 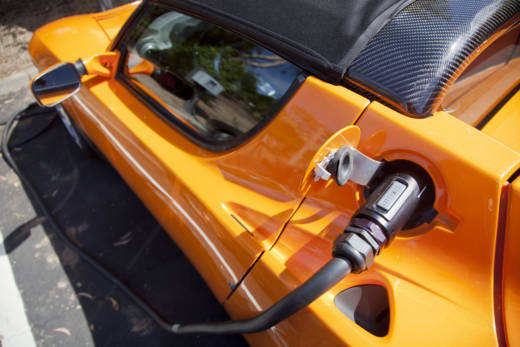 Pacific Gas & Electric will build 230 direct current fast-charging stations, for a total of nearly $22.5 million. And PG&E and Southern California Edison will spend a combined $580 million to support the electrification of almost 15,000 medium- and heavy-duty vehicles including transit and school buses, semi-trucks, forklifts and cargo equipment at ports. “If we’re successful with this and other electrification efforts already underway, much of the nation will likely follow California’s lead,” said CPUC Commissioner Carla J. Peterman. The utilities initially asked for $1 billion to implement the projects. After a series of workshops and hearings, the CPUC decided on a budget of approximately $738 million, with an additional $29.5 million for program evaluation. The overall plan is a result of a 2016 CPUC order directing utilities to submit applications proposing projects aimed at accelerating transportation electrification across all sectors, from light-duty passenger cars to medium- and heavy-duty fleet, transit and freight vehicles. Edison’s Katie Sloan estimated its projects would lead to a monthly bill increase for customers of about 50 cents over a few years. After that, she said, ratepayers will see their bills steadily drop as the infrastructure is completed. PG&E and SDGE did not immediately have estimates for whether their plans would increase monthly bills for customers. Gov. Jerry Brown in January outlined a $2.5 billion proposal to help Californians buy electric vehicles as part of a long-term plan to reduce greenhouse gas emissions. Currently there are about 350,000 zero-emission vehicles on California roads; Brown wants that number to grow 15-fold over the next dozen years. The Democratic governor has positioned California as a global leader in fighting climate change amid President Donald Trump’s decision to pull the U.S. out of the Paris climate accord.